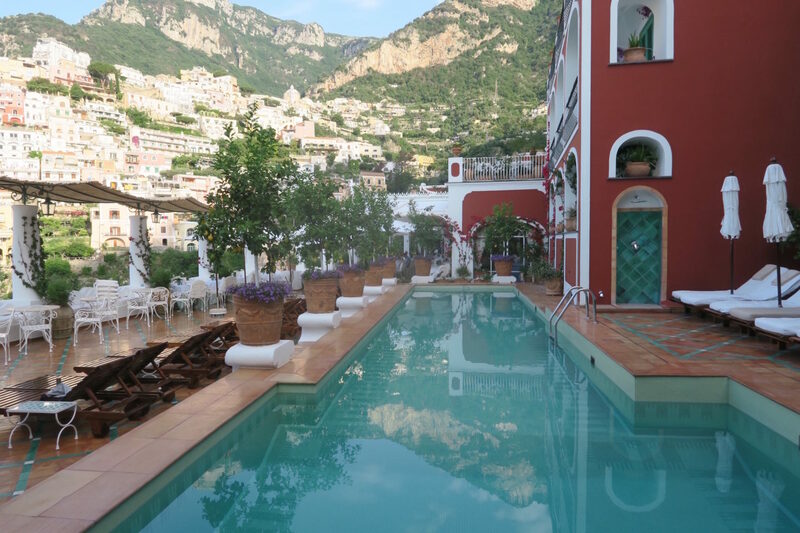 We stayed here for a night here on our trip to Amalfi and I wish we could have extended. It is an experience to never be forgotten. But you know what that means right? An excuse for a second trip of course. I was greeted with warm welcomes from all the staff here which made the experience an extra special one. Italians in general are super friendly and chatty and you will see that the minute you touch down in Italy. 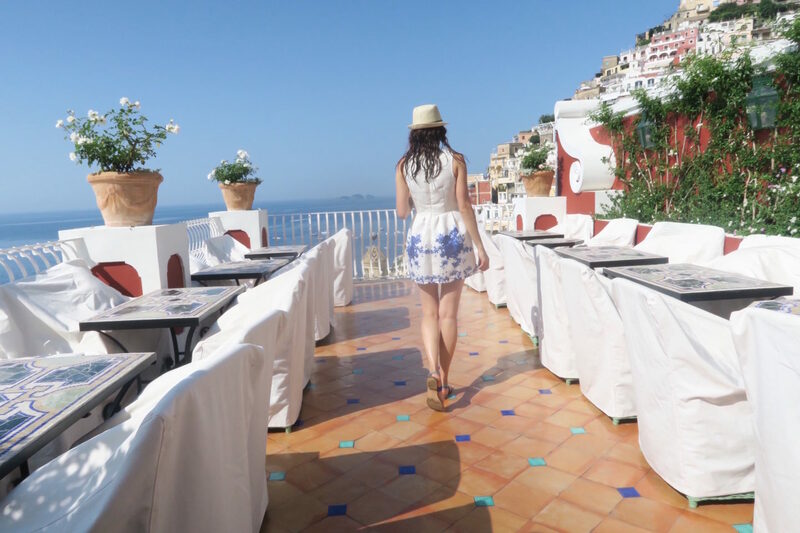 The hotel is surrounded by the cobbled streets lined with shops that lead to the harbour port and from here you can take the boat to the other islands, so a perfect location for island hoping. It’s also a great hotel for a couples and newly weds because of its romantic feel and scenery; situated perfectly on top of the cliffs with the backdrop of colourful houses. 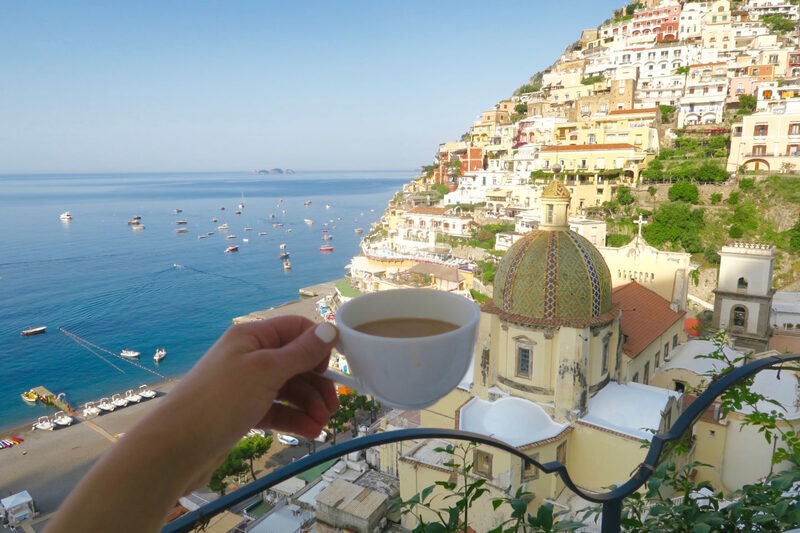 “ Breakfast with a view” is the perfect description here. You only need to search La Sirenuse hashtag on Instagram to see a dozen of pictures of wedding rings with captions of: ”I said yes”. Once checked in, I didn’t waste anytime and headed straight to the pool. I didn’t quite make it for sunset pics but if you can, I’m sure this would be epic. If you want to do a spot of shopping then step outside and you have an array of shops and cafes to entertain you. We got up nice and early for breakfast (as you do if you have kids) and got a great table outside. Now you can see why early is a good option. The tables outside do get filled pretty quickly so I would recommend going as early as you can. 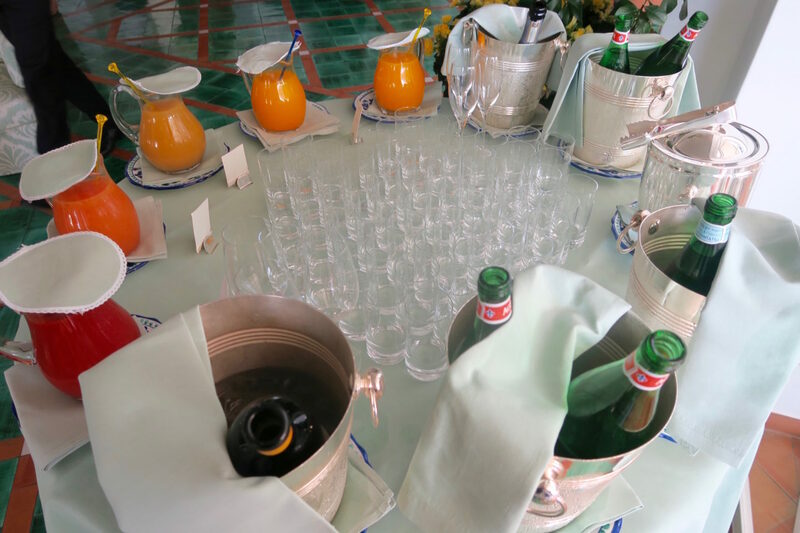 During the Summer months, the hotel is at its maximum capacity because its one of the most famous hotels in Amalfi. (I would recommend booking well in advance). 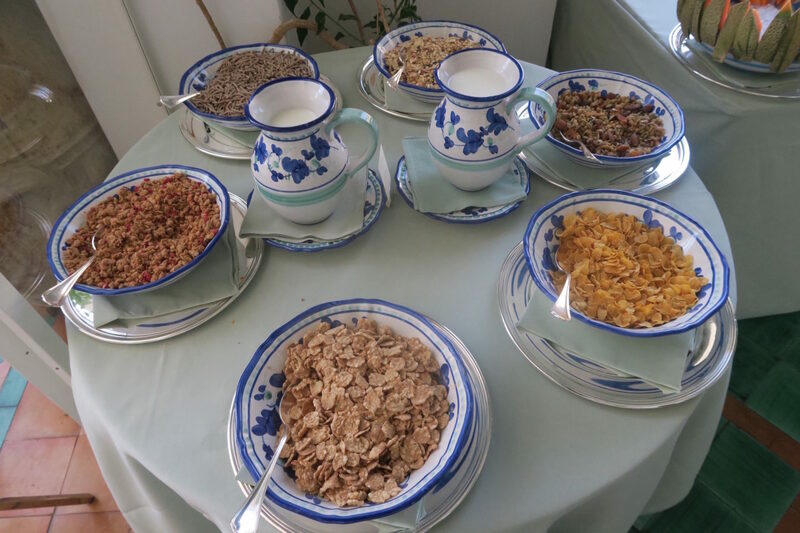 The breakfast buffet was exceptionally good. From the vast range of fruit, breads and pastries. Hot breakfast is ordered al la carte along with the hot drinks. I would recommend drinking their hot chocolate with almond milk which was a little too sweet but extremely good. 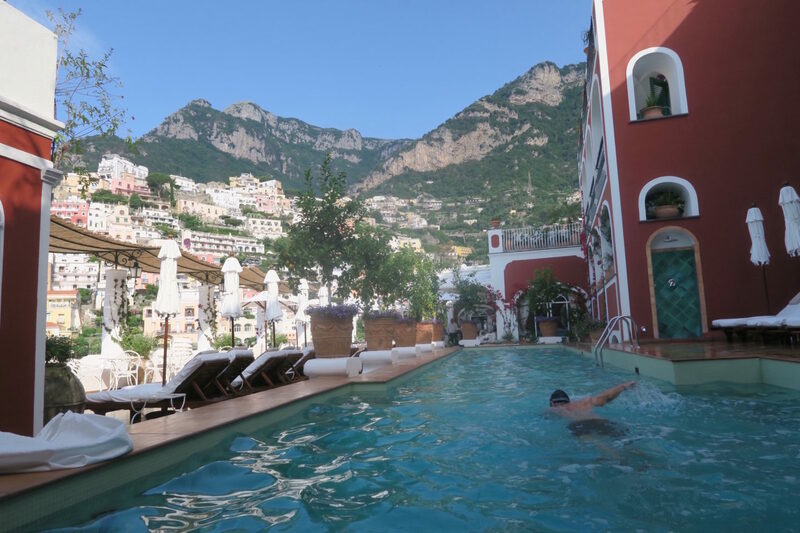 After a fruitful breakfast we had a quick dip in the pool before heading out to Capri. 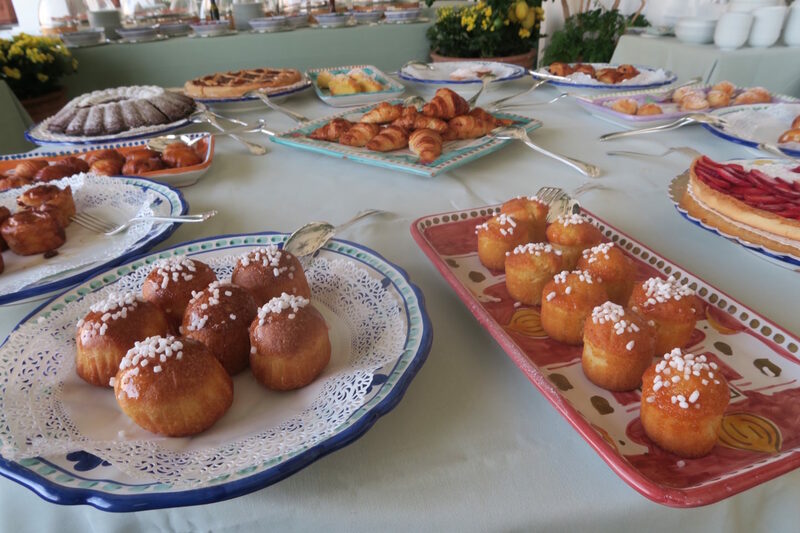 The breakfast area is situated perfectly just by the pools making post breakfast dipping easy. I would be ready in your swimming gear at breakfast if I was you so you can be ready to jump in the pool. The pool staff here were happy to help with getting that ‘perfect shot’. One even took me to the roof top and showed me the exact spot to get that epic shot. I mean the pics just speak for itself, just magical. You can see that so much effort went into the detail of the decor, just breathtaking. 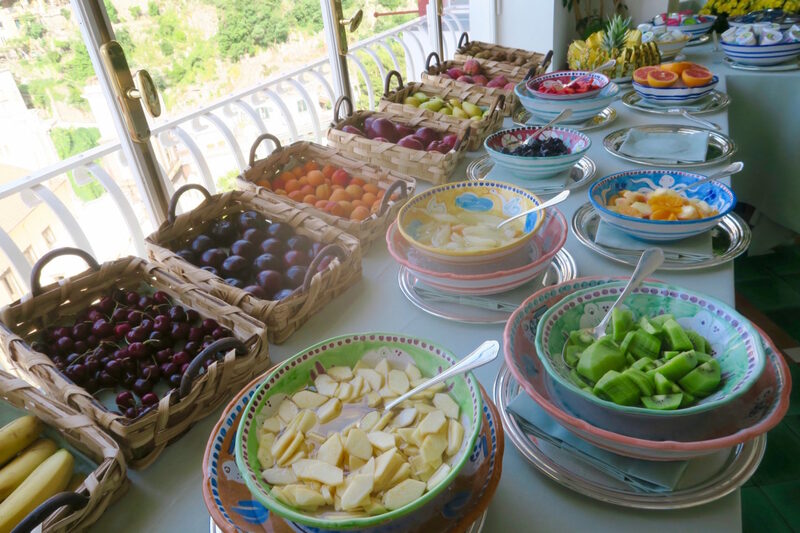 I had a wonderful time here at La Sirenuse, a truly five star luxury experience never to be forgotten. I was amazed by the decor and scenery which will be ingrained in my mind forever and will definitely be booking another trip here soon! 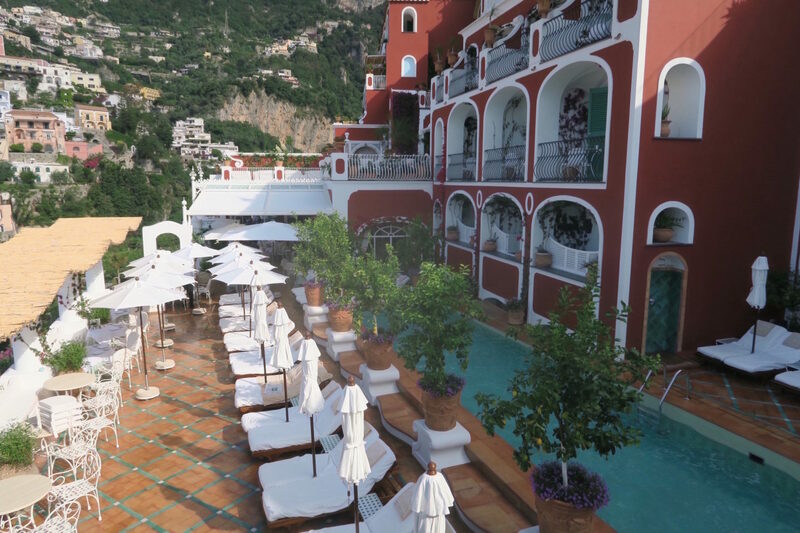 If you ever venture out to Amalfi, this is one hotel to experience, the pictures speak for itself doesn’t it? 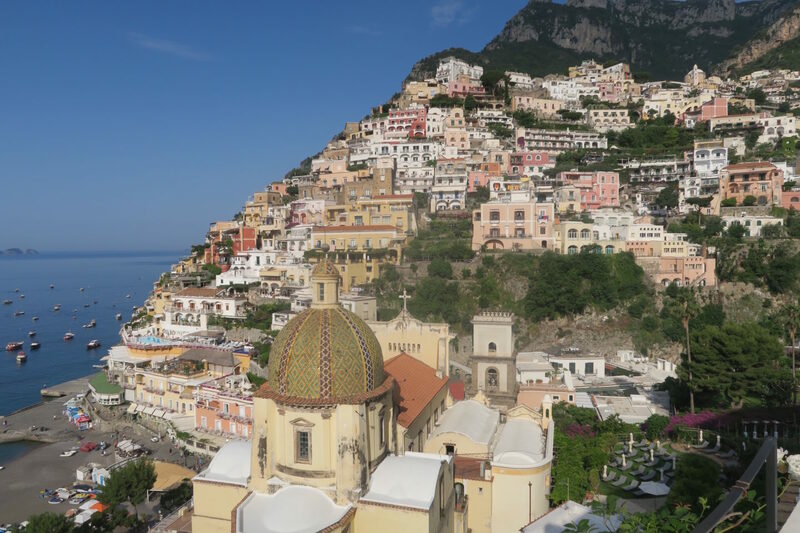 Where have you stayed in Amalfi?